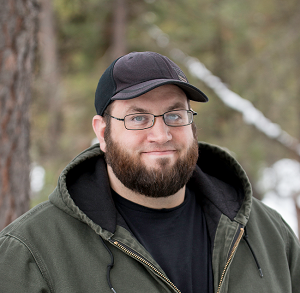 Useful every day carry items - or EDC gear - is all the rage. Granted, every time some newfangled acronym comes out, it seems to make a thing seem new and exciting, even if it's really just a new term to refer to something everyone is already used to. That said, EDC gear refers to pretty much any piece of equipment - such as a tool of some sort - that a person should never be without because they're just too darn useful. Naturally, a good stout belt - such as a beefy leather gun belt - should be worn if you're going to pack around some EDC gear. It's just plain necessary. 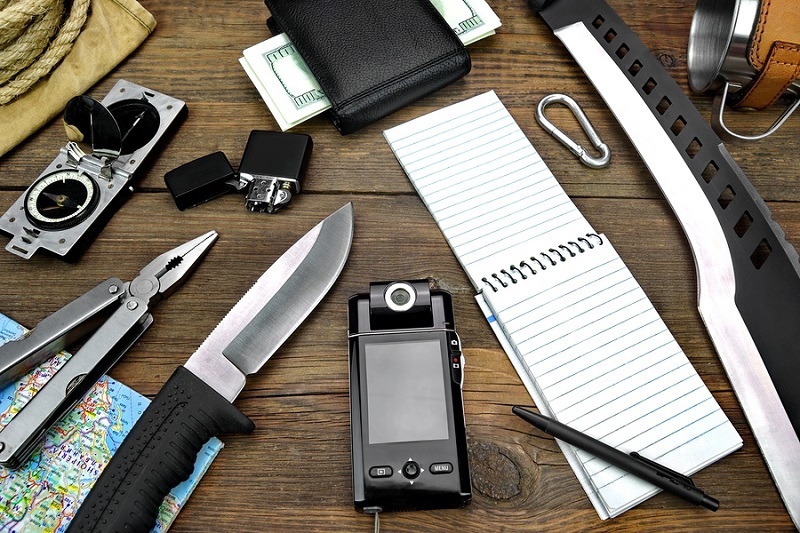 However, here are 5 EDC items that you should always keep on you. 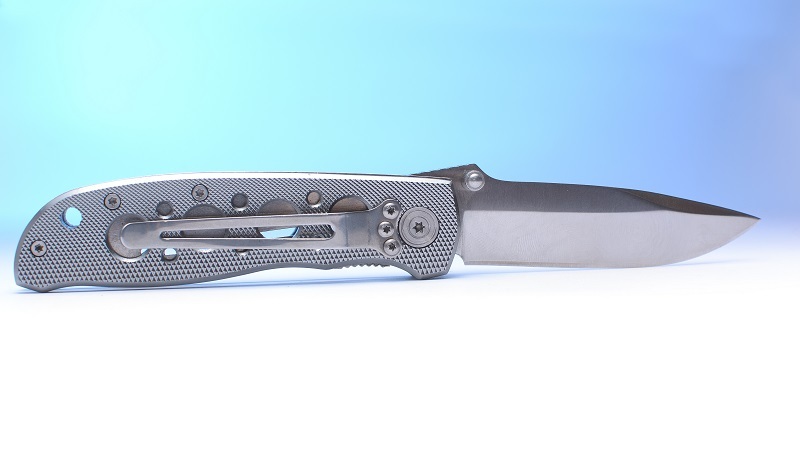 An EDC knife serves dual purposes. Knives are useful tools, as they have been one of the default cutting instruments for mankind for millennia. In the right hands, they go from being mere implements of opening things to precision instruments. Knives are also necessary for processing game, and plenty of pocket knives out there are capable of dressing out everything from trout to deer, provided they're made of good steel. Knives can also be weapons, and in trained hands are positively deadly. In some close quarters situations, you may not have time to draw, aim and fire a pistol - but you may have just enough time to draw a blade. State laws vary regarding carrying a knife; be sure that the blade you carry complies with state laws. However, there are a few things you should look for in an EDC knife. The handle should be comfortable, and grippable when wet. The blade should be able to take - and keep - an edge; bad steel can't be sharpened and a dull knife is pointless. Folding knives should open easily and should have some locking function so it works like a fixed blade once fully opened. Folding knives should also have a stout clip. The multitool is endlessly useful, as so many features are packed into one object. Granted, they are usually jacks of all trades - some jobs require the actual right tool - but plenty of smaller jobs can be tackled with a multitool. Multitools typically come in two varieties - a Leatherman-style design or a Swiss Army Knife design. Both types, however, include multiple tools in one. What specific tools are included varies from tool to tool, but you'll almost always find a knife blade, saw, file, and at least a flathead screwdriver. Some designs also include a Phillips head as well. 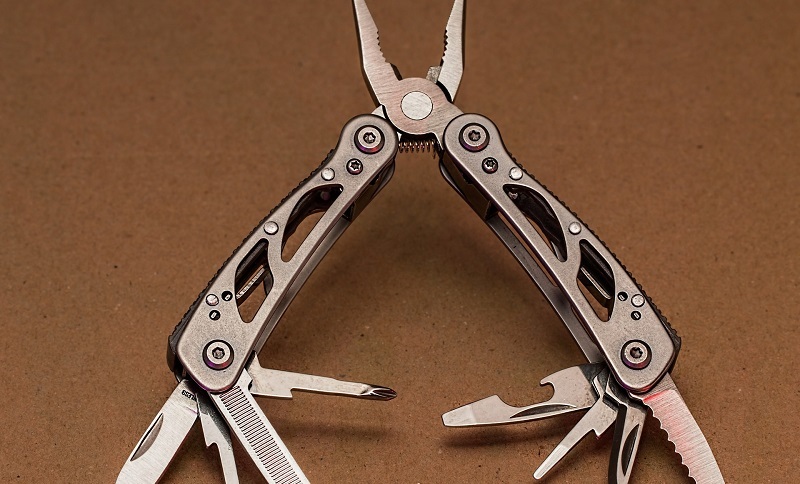 Those of a Leatherman-type design will also have needle nose pliers and wire cutters. (The base of most needle nose pliers are wire cutters, for those unaware.) Scissors, bottle openers and other tools are also widely available on most multitools. Designs range from compact sizes to full-size models requiring a small belt pouch. Naturally, Leatherman and Swiss Army Knife brands are best known. Other well-known brands include Gerber and CRKT. There are cheaper models out there - like you might find in the camping section of some sporting goods stores - but dropping a few extra bucks on a good model will pay dividends in the long run. Not long ago, an EDC light meant cheap tiny flashlights you got from gas stations or maybe the "pocket" size Mag Light. (If your pocket was incredibly deep.) Today, there are a wealth of EDC light sources available. There are LED lights, pen lights, tactical flashlights...a plethora of choices. Small lights can be had that fit in a pocket with a clip, larger models require a belt pouch. EDC lights are great to have in case of emergencies, power outages, or if the occasional need for a flashlight emerges. 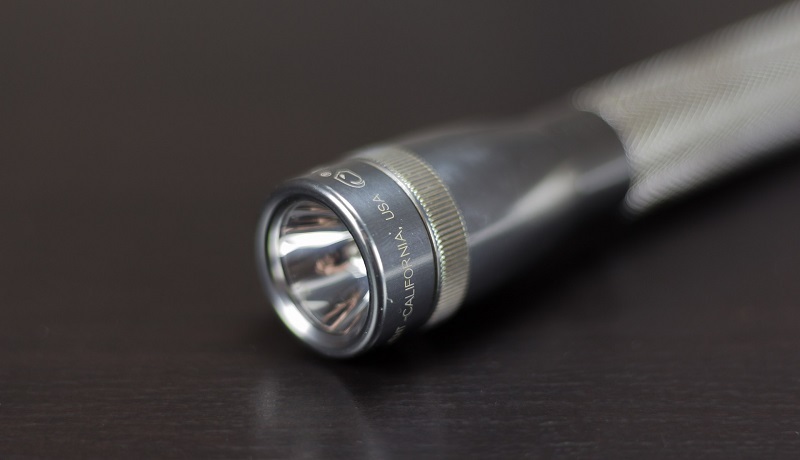 One can spend as much or as little as they want - basically any flashlight you can comfortably cart around every day qualifies as an EDC light. Yes, the vile electronic tether - the smartphone. They're good for a lot more than just "Angry Birds," even if more people use them for entertainment than any other purpose. With that said, the bounty of information that is available at one's fingertips with a smartphone is just too useful to ignore. Everything from navigation, to shopping for the best gun belts, emails, text messages, VOIP communications, video conferencing - even call waiting. The expense is not pleasant, sure. The battery life for most models...is abysmal compared to those Nokia phones that some of us remember. (How I miss the days when a charge lasted a week.) It's annoying being effectively chained to the things. 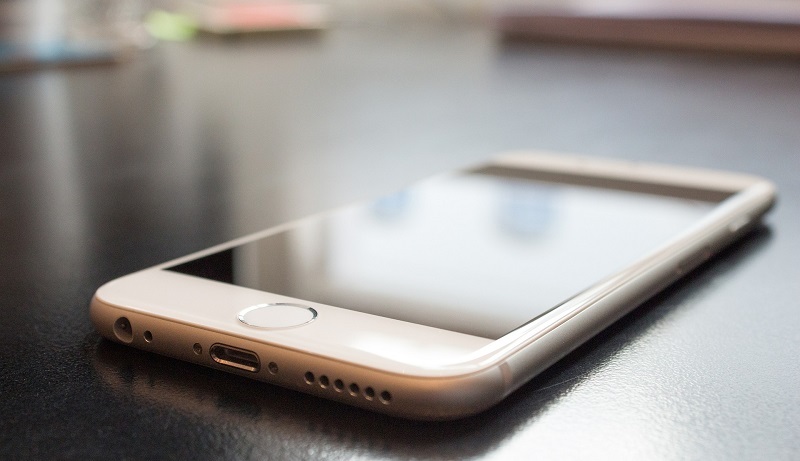 However, there's no denying the abundance of information and communication capabilities that the smartphone puts at our fingertips….in coverage areas, that is. 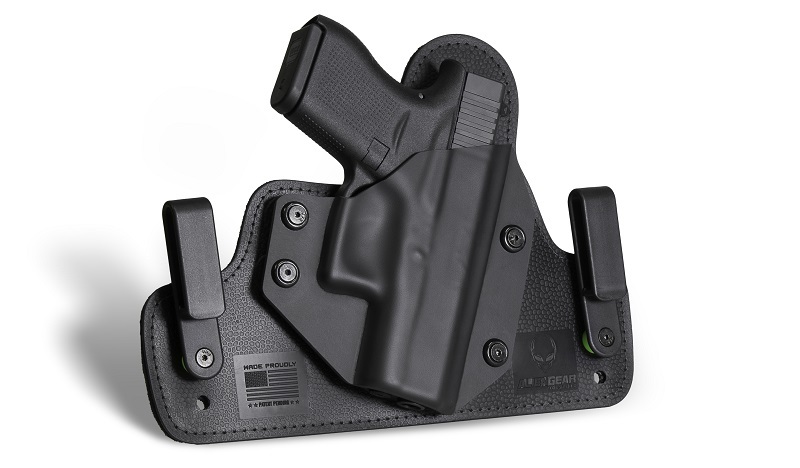 One of the next vital pieces of every day carry essentials is an EDC gun and holster. Granted, you will most likely need every other item on this list much more often than this last item. Hopefully, you'll never actually need one and odds are you probably won't. Ideally, no one would ever need a gun for anything other than leisure or food procurement. However, we don't live in an ideal world, and it's far better to not need one and have one than to need one and not have one. If you're going to be armed, you might as well be outside the home as well as in it - and if you're going to be licensed to carry, you should do so every day. What makes for a good EDC gun? One that you can carry comfortably and safely, and that you can shoot accurately and safely with. If that means it's a Glock, a .357 Magnum revolver, a 1911 or whatever; the best EDC pistol is the one that you know best.